It bears emphasizing that adopting the federal approach would require commercial plan sponsors to sign onto a system over which they have little if any evolutionary control. 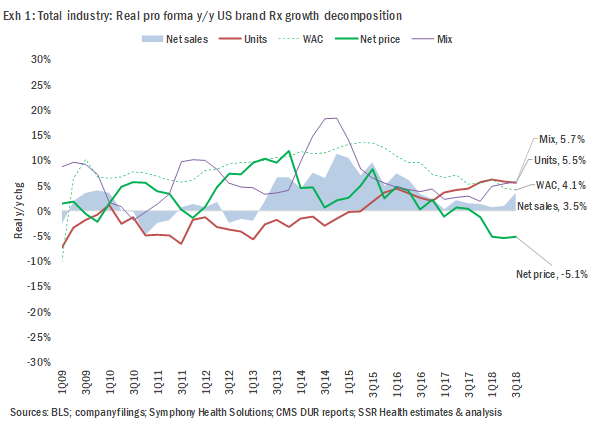 And it can further be argued that commercial plan sponsors, at least very recently, have been winning the drug price game, with sales weighted average net prices having fallen 5.1 percent in real terms through 3Q18 (Exhibit 1). This begs a simple question: Why would private plan sponsors voluntarily adopt federal rules, over which they have no control, to change the outcome of a game they’re currently winning?